Families that have both working parents need someone to take proper care of their young children, toddlers and infants. Daycare centers provide the necessary childcare that working parents are looking for. 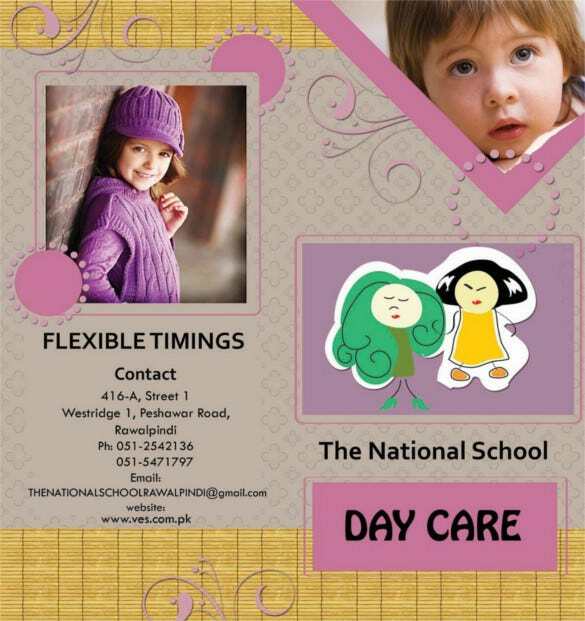 Daycare centers need to advertise their childcare services in a proper manner and give a sense of security to parents. 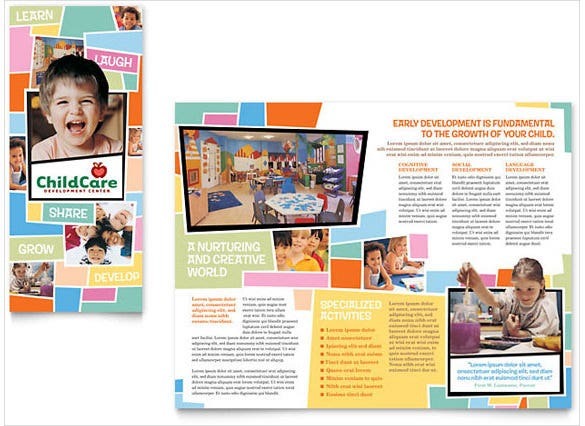 For this purpose we have the perfect range of daycare brochure templates. 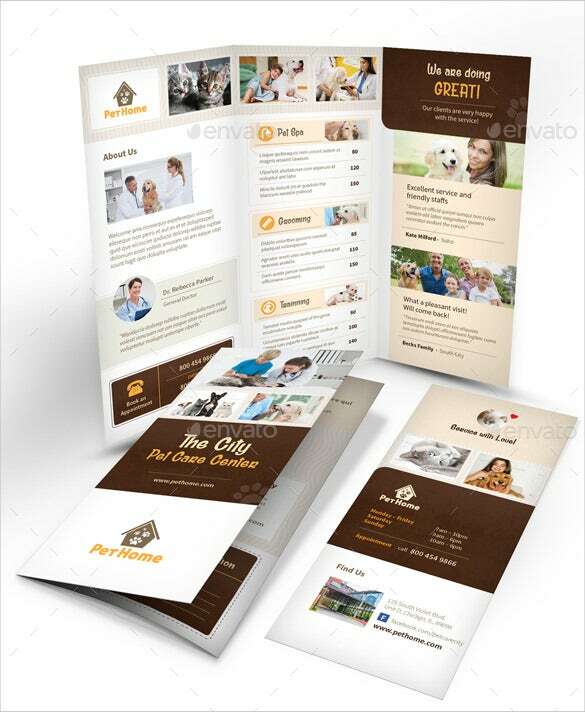 You can also see Brochure Templates. 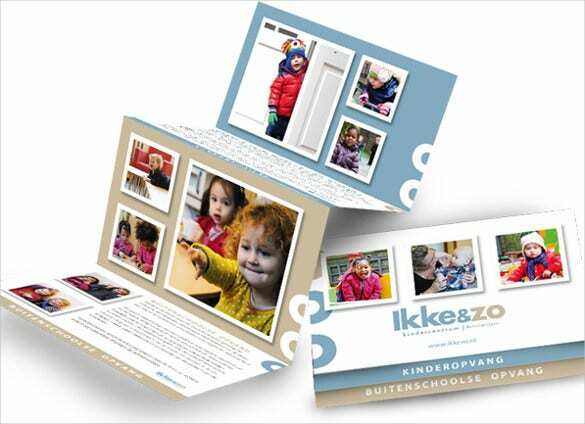 The brochure here comes is a series of happy colors for each side of the brochure which makes it perfect for a day care preschool. The cheerful faces of little angels at the front is sure to brighten up your day. 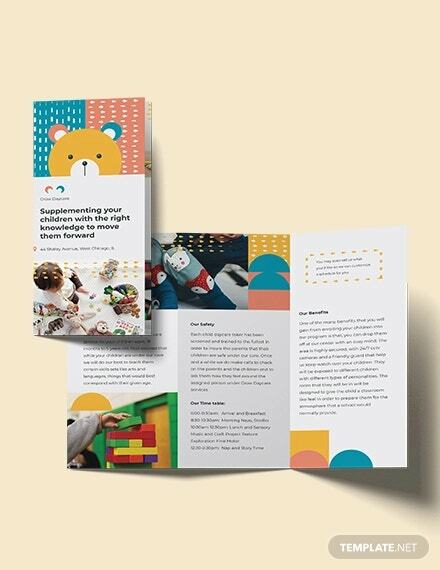 This is a very adorable daycare center brochure template. 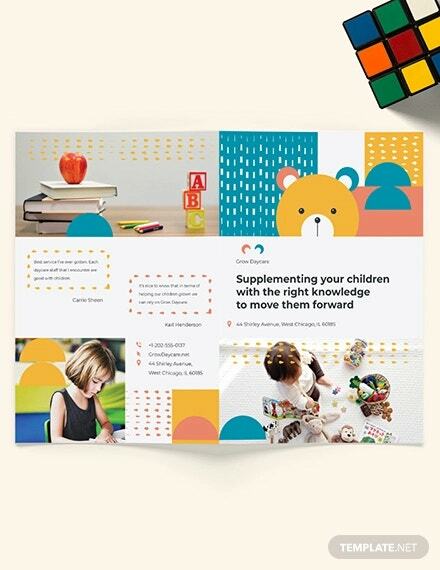 You will be able to add cute close ups of the kids to every alternate page and the other pages will have text with images. 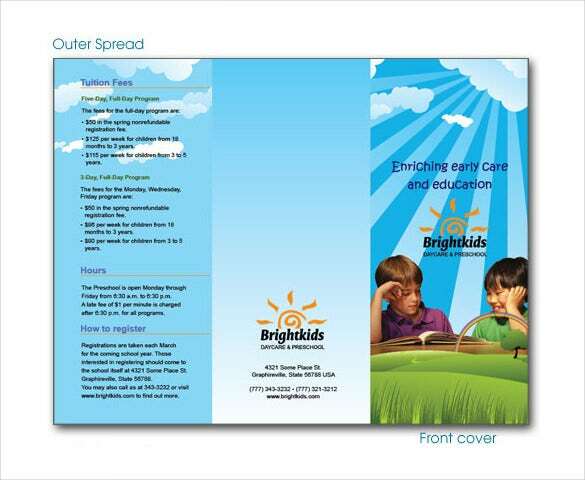 The cartoon kids at the front of the brochure is sure to bring smile anyday. 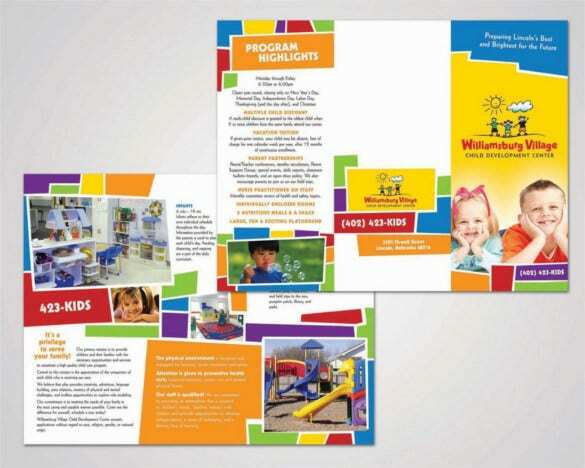 It’s a beautifully designed day care brochure that has used an earthy tone as the basic color while vibrant shades like lavender & yellow create a great contrast. 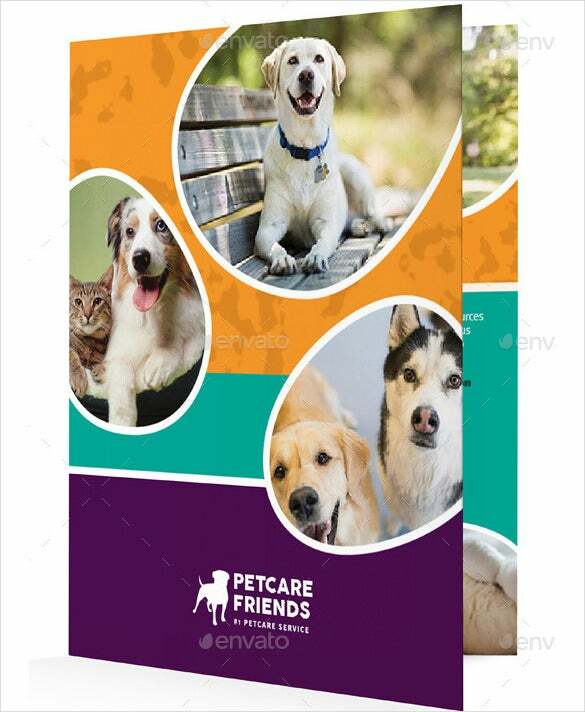 The combo of brown, beige and white is simply stunning and extends an elegant feel to the overall pet care tri fold brochure. You can add text here in small paragraphs with relevant images. 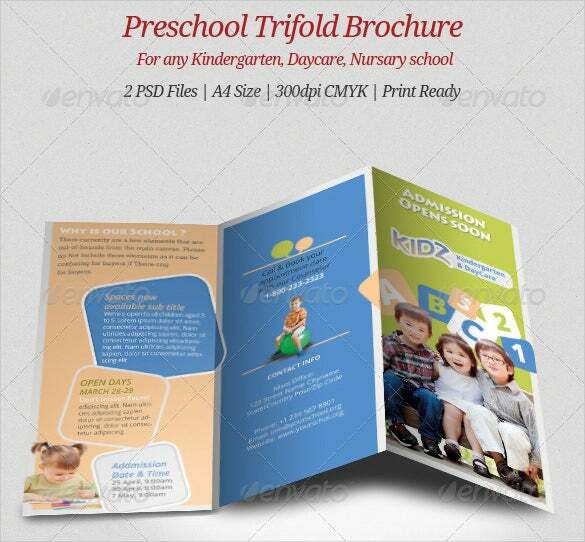 The bright smiling faces of little kids immediately refresh the mood and sets the desired tone of the brochure. 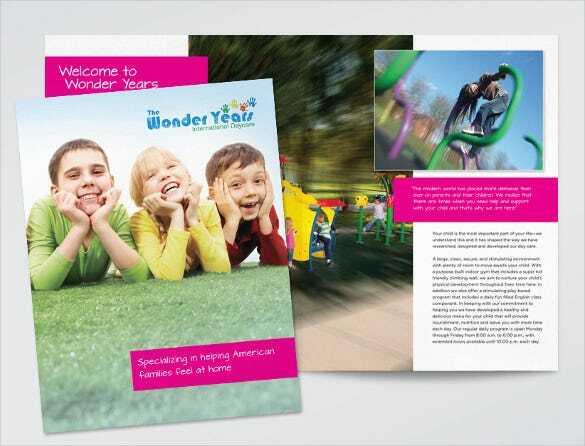 The brochure is mostly dominated by pictures but there is adequate space for texts as well. The presence of so many bright colors immediately reminds of a cheerful and joyous childhood. 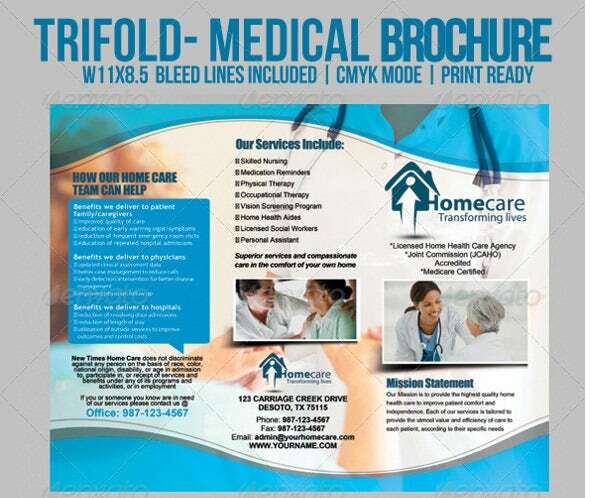 The brochure here would allow you to add a sufficient volume of text along with pictures of various sizes. 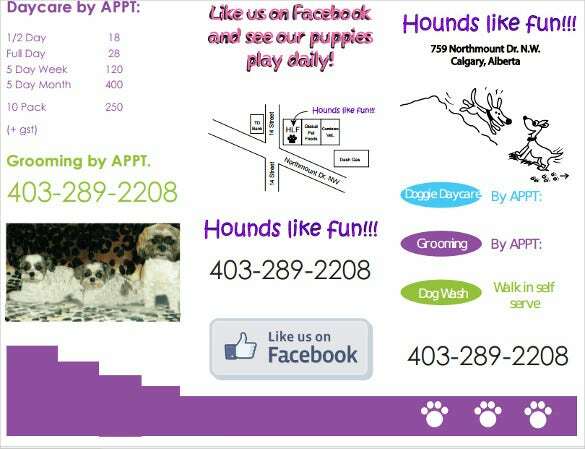 These templates provide details of all the services provided by the daycare center. 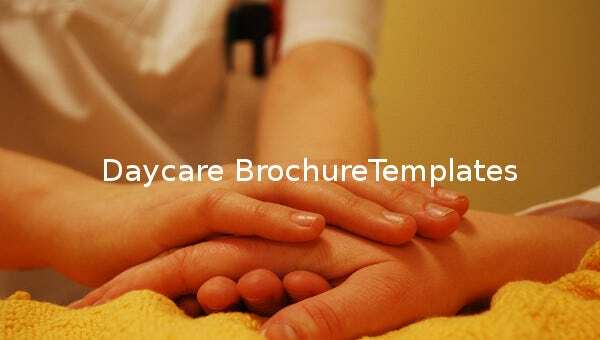 The template has the schedule of the daycare center, timings, working days and lots of other information. 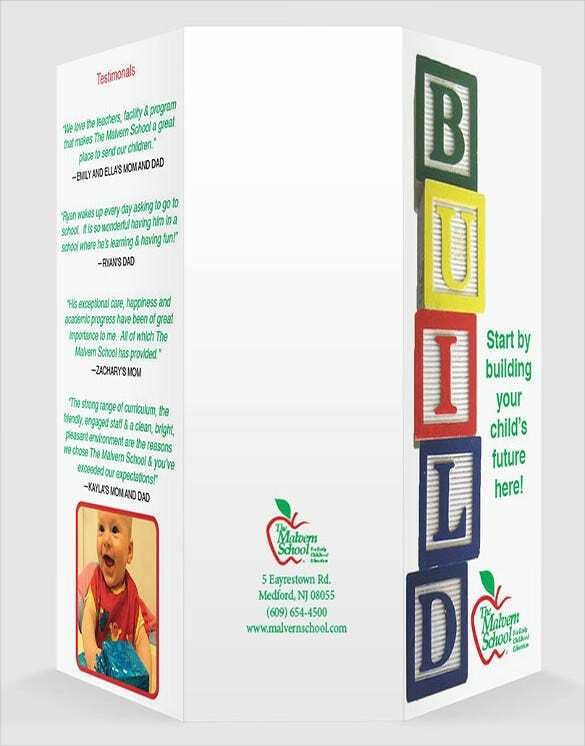 These templates are highly popular amongst daycare center owners.